To all passionate alchemist if ever you lack certain ingredients, then Acquire the plot in Morthal. 1.1 Say that you grow the ingredients yourself always required mass way and reap even more. To do this you have to select the Fertile soil in the pots and paste there your ingredient, soon after, you can start harvesting. 1.2 Also appear in the greenhouse bees and butterflies, even a bird's nest appear on the transom. There you can do the possible fish breed. Just go on the web to box, select and breed fish in which you want to insert. If you have built yourself an animal pens, you bought a few hens. These set out eggs that you can use it. Who build the first time homeowners has a little built and wants to change that necessarily reflect, might help jog. 1. Before you do it, get it all out what more do you want to keep out of your houses, since it is no longer there. 2. You lose everything you bought the game and all materials belonging to the addon, and all the houses you have built up to that point. You take the hook at the HearthFires. esm (found in the case of data files in Skyrim Launcher), start the save game and then store again, soda you have a saved game without Hearthfire addon. Now get out and activate and load the save game so all stolen houses away and hearthfires start all over again. You know by now that you can keep a dog as a pet. But they are all the same. Now do the following. Go and take Husky (Dawnguard). Then go to your house and your child will ask whether he can keep the dog. To get fast money, you must first have a house with a garden. Plant in every spot of fertile soil a pumpkin (Gourd). Then you can sell them for a lot of money, or you eat them in your adventures. If you have only two options in dialog Jarl Skald, even after you have finished the quest nightmare, then this is a bug of the house in Pale. The only solution is to support the Imperial war and thus to change the Jarl. 1) You can join the storm cloaks already but you shall not conquer White Run. 2) Playing through the main quest. At some point you have to Jarl Balgruuf persuade a dragon caught hold in the Dragon celebrations. But it will only support who you can prevent war for the duration of the dragon attacks. 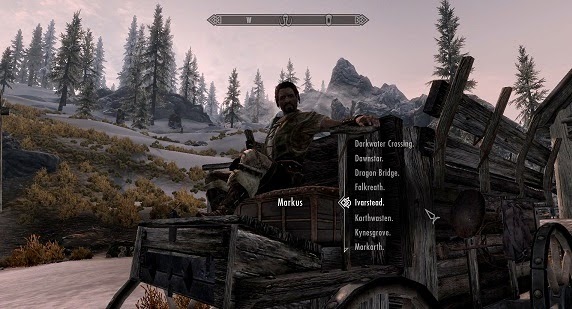 Now the quest "A never ending story" begins, you have to talk to Arngeir so he helps you, and peace negotiations can be held in high Hrothgar. Now you have to talk into these negotiations with General Tulius and Jarl Ulfrik. Once you've done that begin peace negotiations in High Hrothgar. 3) Markarath, Jarl Ulfrik will require the Imperialists, Tulius asks for your opinion. Answer now so he should get Dimstar in return, but he will refuse remain in your opinion, it should be Dimstar. Everything else you can reject or approve depending on how hard you want for the Rebelion. Arngeir will make known the demands for peace treaty. By now it should Jarl Skald be exiled and Brina is new Jarl of Dimstar to the main story to an end, and did you connect the storm coats.